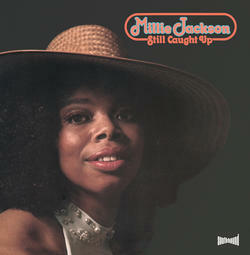 Following January's vinyl release of "Caught Up", we bring you the second part of Millie's examination of the eternal love triangle - 1975's "Still Caught Up". Recorded at Muscle Shoals Sound Studio with the original Swampers - Hood, Hawkins, Beckett and Johnson - and co-produced by Millie and Brad Shapiro. The order is reversed this time, with the wife getting side 1 and the mistress side 2.